“I try to create an ecosystem that can bring benefit to many people in a transparent and open way,” says President at France Blocktech and speaker at the Blockchain & Bitcoin Conference France Laurent Leloup. Blockchain & Bitcoin Conference France is a large-scale event in Paris focused on DLT and cryptocurrencies. The conference will unite top experts from leading crypto companies to discuss regulations, ICOs and look into the French blockchain future. Laurent Leloup has 25 years of experience in the financial sphere. 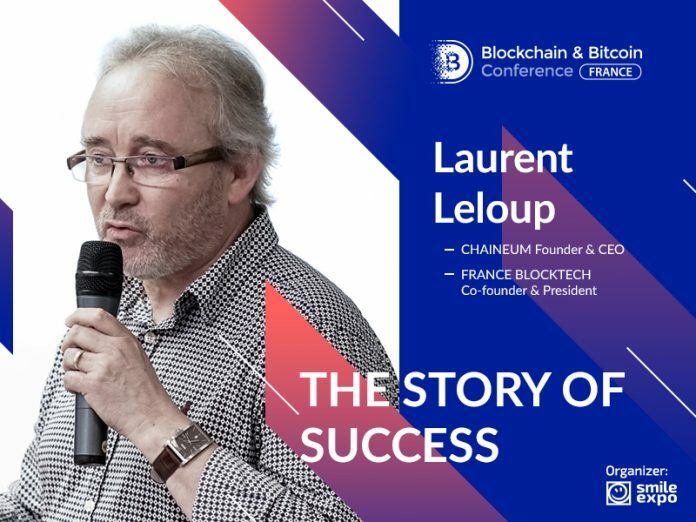 He is an ICO advisor and entrepreneur, Founder at Chaineum and Co-Founder at France Blocktech. The specialist will speak at Blockchain & Bitcoin Conference France and dwell on blockchain application in industry and government. In the interview, Laurent Leloup shared his success story. The expert told what served a starting point for the career in the sphere of blockchain, why he chose it and how to manage several companies. BCF: We know that you have 25 years of experience in the financial sphere. What served as a starting point for you? LL: My career started in 1991 in the credit management field and with the creation of a debt collection firm. Then I was the commercial director in a credit management solutions software editor, before experiencing consultancy from 2003 to 2007. I launched an online magazine, Finyear.com, in 2007, few years before discovering Bitcoin. BCF: How did you get engaged in blockchain? What helped you to understand that decentralized technology has future and determine your way towards crypto development? LL: Like many people, I heard about blockchain technology thanks to the emergence of bitcoin in late 2008/2009. 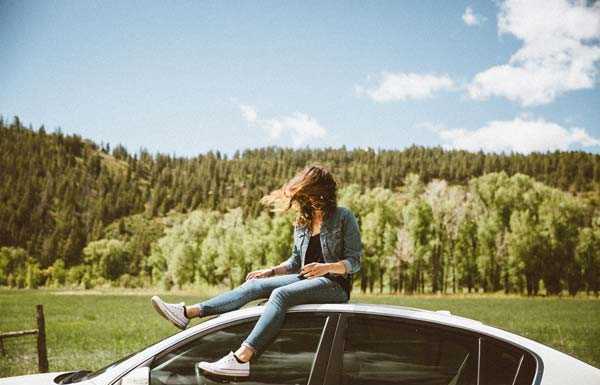 As the founder of FinYear.com, I received many questions about it, so I began working on it and trying to explain it to our readers. The more I discovered this new subject, the more I understood it, first, on a technical level, then on a societal one. I quickly understood the power of the blockchain as well as crypto and tokens. 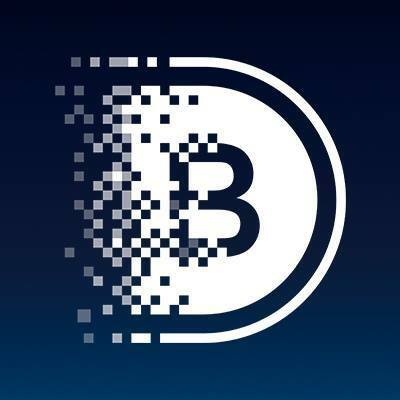 BCF: You are the founder and CEO at two blockchain advisory companies, and two financial news organizations. How do you manage the operation of all at once? LL: We are in a new field, and there are still so many things to create! As a Lego lover since my childhood, I love to imbricate things. All those companies are set up in a logical way because they all rely on each other. I try to create an ecosystem which can bring benefit to many people in a transparent way. It’s a “way of thinking” in the blockchain field. Fortunately, I was able to create a strong and competent team around me, approximately 20 people now. They help me every day in the creation of this ecosystem, from ICOs to blockchain development and advice, to media. BCF: As for your company Chaineum, it is the first so-called French ICO Boutique. Was it difficult to establish Chaineum as a pioneer, or did you know that the idea would reach success? LL: Establishing Chaineum as a pioneer was not so hard in France because we were the first one in the market. We helped the first 100% French ICO, Domraider, in 2017, and managed to raise more than 35M€. But in my mind, it is clear since 3 or 4 years that the Blockchain technology has the power to change the society, to make the world better. Chaineum was a logical evolution for me and all the people around: helping companies to be back and bankroll by people around from all over the world, no matter their age, social environment or whatever, but always in accordance with the law. As a pioneer, we also face multiple challenges. We’re the explorer of the 21st century! BCF: How did the idea for writing a book “Blockchain, la révolution de la confiance” [Blockchain, the trust revolution] originate? What served as an inspiration? LL: As I said, I began writing about blockchain around 2008/2009. After years of blockchain exploration, I organized two conferences about it in Paris in 2015. Demand for information about blockchain, Bitcoin and crypto were really high at this time. That’s why I also created France Blocktech association in 2016, as well as the Blockchain Valley. I truly believe that blockchain is for everyone, and naturally, I had this idea of writing a book about it. My book “Blockchain, la révolution de la confiance” was born. The organizer of the event is the international company Smile-Expo which conducts Blockchain & Bitcoin Conference series all over the world. The event in France will feature DLT industry experts and leading companies and startups which will present their projects. The conference will provide an opportunity of networking to find new partners and get to know crypto enthusiasts. Previous articleAustralian Fashion Brand Modibodi Takes a Stand: No Photoshopping or Retouching Allowed! Blockchain & Bitcoin Conference is a cycle of industry-specific conferences dedicated to decentralized technologies.